First Cymru passengers are wearing red today. The crimson clothes allow them to receive free travel from 16.00 as the operator does its bit to support the Welsh national football team in their semi-final match. First Cymru drivers are also swapping their uniforms for Welsh national team football shirts or anything else red. The operator will also be giving away 25 football shirts to children travelling on the network during the day. 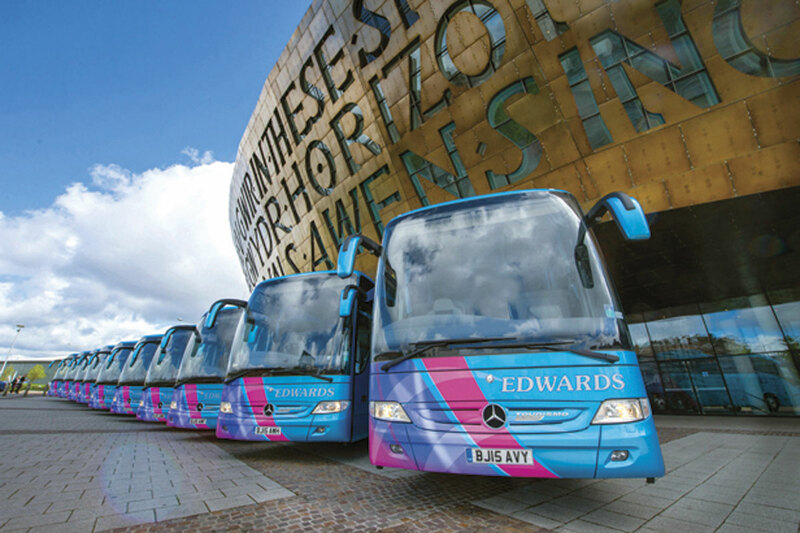 Additionally, Edwards Coaches of Llantwit Fardre, near Pontypridd, has launched a campaign to encourage business owners and employees to wear red to show their support for the Wales national football team. The official Edwards Coaches Facebook page has an event page (https://www.facebook.com/events/857454737692712/) where people can post their good luck wishes, photos and videos showing their support of the team.